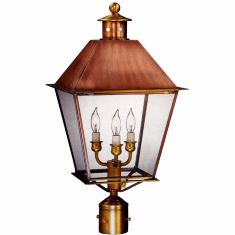 Designed to reflect the timeless beauty of the old south, the Carolina Lantern Copper Lighting Collection is handmade from solid brass and copper. 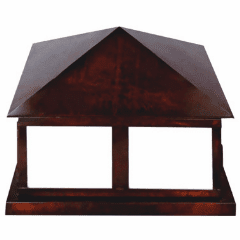 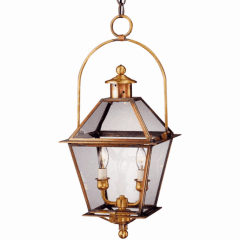 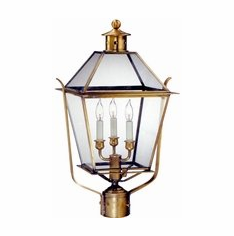 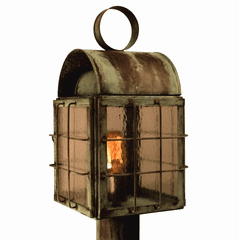 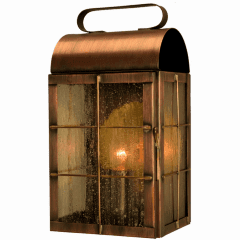 The solid brass and copper construction mean these lanterns will never rust or corrode making them ideal for use in waterfront, wet and snowy locations. 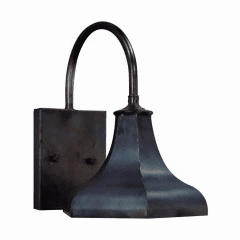 100% made in the USA this versatile copper lighting collection includes a flush mount ceiling light, a post light, a wall sconce, and a pendant. 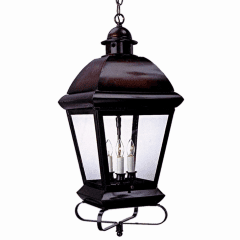 Add an optional metal top, as shown in the post mount version, to provide a different look or to meet dark sky requirements. 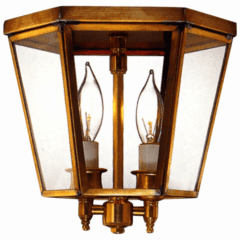 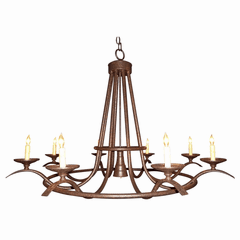 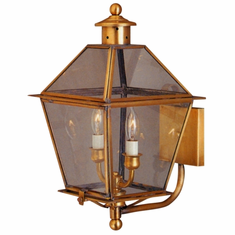 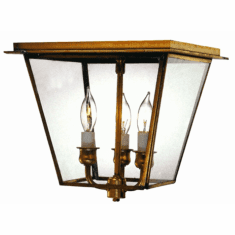 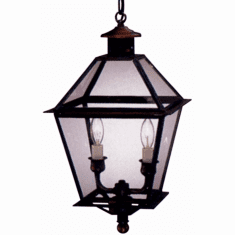 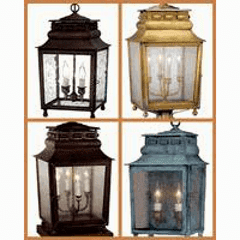 Available in your choice of eight all-natural hand-applied copper and brass finishes and four distinctive styles glass options, this classic colonial Carolina lighting works perfectly with a wide variety of traditional, Early American, Colonial and Colonial Revival style homes.